A 7 or 3½ Year Tribulation? 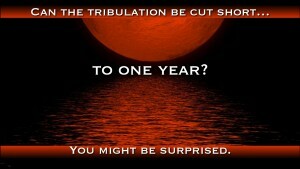 We’ve all heard at one time how the tribulation will be 7 years or at the very least 3 1/2. But how many of us have even pondered it only lasting one year? Sounds silly right? Well, you might be surprised. When many were pointing to September 23 of 2015 for something to happen, I couldn’t help but think of a PDF that was shared with me earlier that year. While opinions will vary on the article, it has nothing to do with movies, television shows, or even books from famous authors talking about Shemita years and the Day of Atonement. 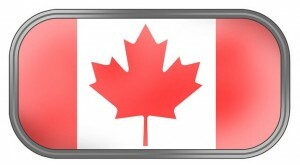 This information was shared with me from a fellowship in Canada. They contacted me via e-mail and gave me parts of the information to discuss. After politely telling them that I disagreed with it, they continued with their e-mails. I eventually talked with them on the phone just to save time typing why I disagreed. After talking on the phone, I started seeing their points. I confess they seemed to be connecting dots using the scriptures. After talking on the phone, I started seeing their points. I confess they seemed to be connecting dots using the scriptures. This is especially true in understanding what Yeshua meant when He said the days of the abomination of desolation would be cut short! I believe what they have shared with me is very interesting and something we need to be open to. So I pass it on here for you to consider. At the very least, hopefully you can read it and find some of the concepts and thoughts as interesting as I did. Please remember that Jeremiah 10:2 says that these are not things to be fearful of. We are not to live in fear. Yet, we should be prudent and mindful while always being on the watch as Luke 21:36 says. Jer 10:2 This is what YHWH says: “Do not learn the ways of the nations or be terrified by signs in the heavens, though the nations are terrified by them. Luk 21:36 Be always on the watch, and pray that you may be able to escape all that is about to happen, and that you may be able to stand before the Son of Man. Please consider this PDF below to at least consider how the tribulation really could be cut short to only one year.